Sunfresh Farms, an Alberta Produce Wholesale Company, began in February 1997. A small group of farmers decided they wanted to market the vegetables they passionately farm out to local and surrounding communities. Our field farms produce premium rutabagas, carrots, green cabbage, cauliflower, broccoli, and other field vegetables. Our greenhouse growers produce high quality peppers, tomatoes, eggplant, mini and long English cucumbers. Most of our farmers are local Alberta farms however we have some throughout Western Canada. Our farmers are second and third generation farmers that are passionate about produce. They take pride in everything they produce and are proud to stand behind their products. They follow top food safety guidelines to ensure consumers receive the best possible produce. Sunfresh Farms has and continues to establish a strong presence as a supplier to retailers, foodservice and wholesalers in Western Canada. On September 7, 2007 Sunfresh Farms moved into a brand new 58,000 square foot warehouse in Edmonton’s west end. Our facility allows for increased capacity, production and quality controls. It also enables us to offer more value-added products including peeled potatoes, onions and carrots, diced, sliced vegetables and an assortment of other processed products. Our repack division allows us to repackage products such as peppers, cucumbers, bananas, oranges and apples etc, into smaller sizes of boxes, bags and trays. 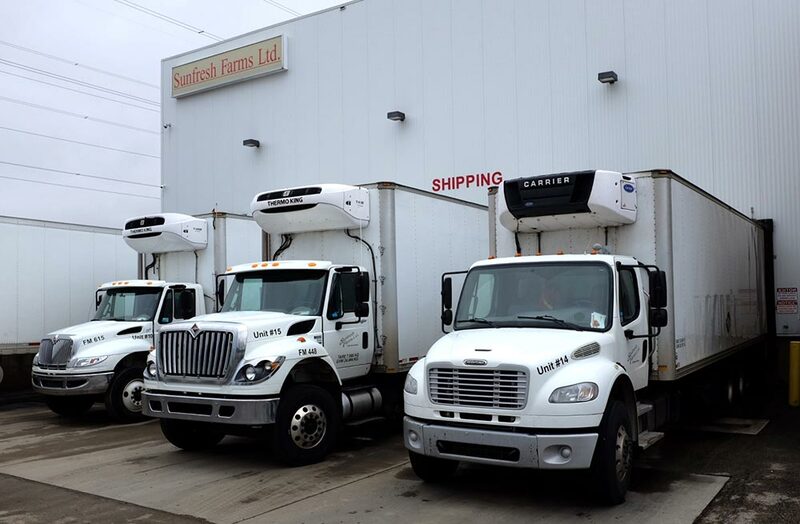 Our fleet includes three tractors, four trailers and four 5 ton trucks which allow us to ship produce around the clock to destinations in and around Edmonton and Calgary. We recycle all of our unused cardboard and plastic. 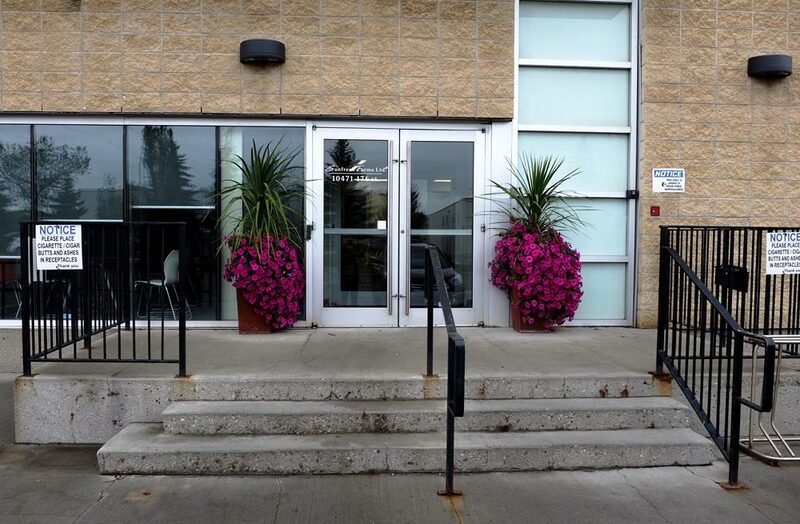 We divert it from the landfill to a facility here in Edmonton to be repurposed into new items. Through innovative marketing and distribution, Sunfresh Farms supplies our customers with healthy and delicious fresh fruits and vegetables throughout Western Canada. Our goal is that the success of our customers will in turn drive success for our farmers, and above all help benefit the local community. Sunfresh Farms believes in maintaining a healthy planet to continue to provide an optimal growing environment for our fruits and vegetables. At Sunfresh Farms we do our part to keep the earth healthy and clean. We works hard to build efficiencies whenever possible to constantly improve our business processes while staying environmentally aware. We are leaders in our field by diverting organic waste away from the landfill. Our organic waste is sent out to be processed as organic compost. All lighting inside our warehouse has been converted to LED lighting which produces less heat and uses less energy than conventional fluorescent tubes.